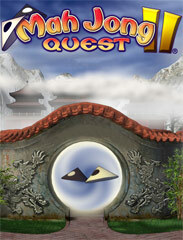 Mah Jong Quest II Free Game Download! Nature has struck back. The world has fallen into a state of imbalance, splitting our teenage hero Kwazi into the male Kwazi White and the female Kwazi Black. You must help the Kwazis advance through the elemental Moon Gates by solving Mah Jong puzzles. Make your way through eight mystical lands, matching pairs and triplets like never before. Only you can restore harmony to the world.